The Walla Walla Sweets Rollergirls League is a 501(c)(3) non-profit organization, and we donate a portion of the proceeds from every bout we play to a women or youth-focused charity. Not only is getting involved with roller derby a great time, it's a way to give back to the community. Never been on roller skates before? Not usually the athletic type? No problem! If you're interested in making new friends and then knocking them down, roller derby might be the sport for you. Roller derby is great for women of all shapes and sizes, and most people who join have no previous experience. 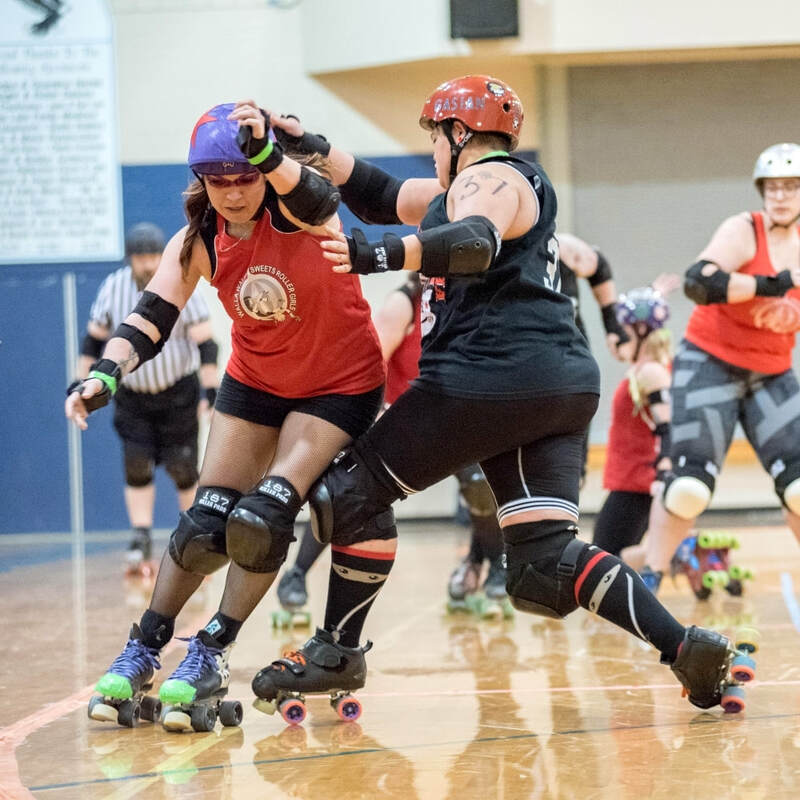 The league offers periodic "Fresh Meat Boot Camps" for new skaters to learn basic skating and derby skills. We can lend you most of the gear you'll need to try it out. Keep an eye on this page for our next recruitment event! Still want to skate, but more interested in sending people to the penalty box than getting bruises? Become a referee! 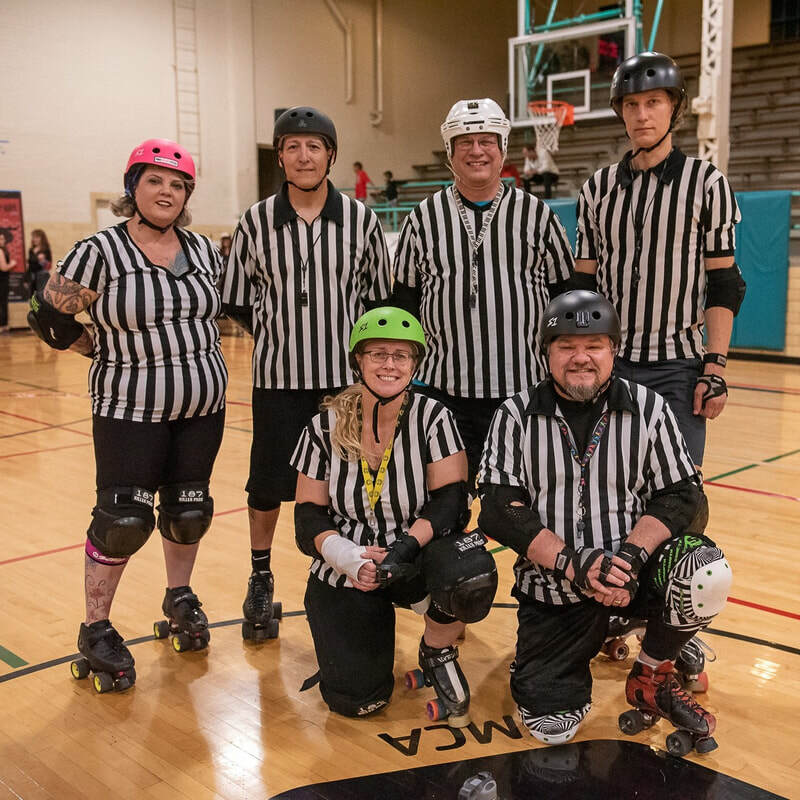 Referees still need to be able to skate so keep an eye on this page for the league's next "Fresh Meat Boot Camp" where you'll learn basic skating skills and derby rules. We can lend you most of the gear you'll need to try it out. Don't want to skate, but still want to get involved? 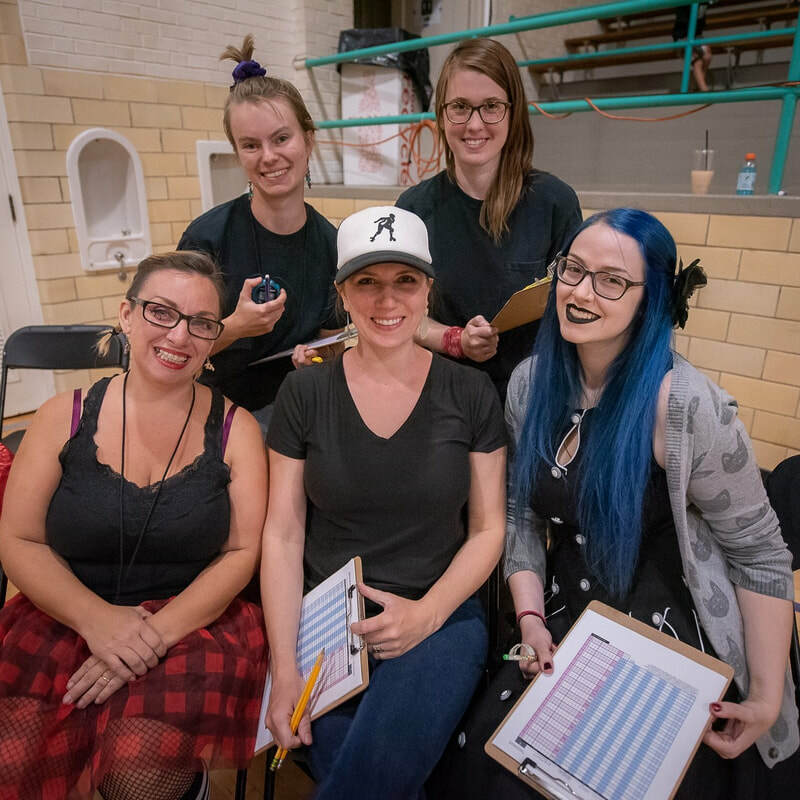 No roller derby bout could happen without the non-skating officials (NSOs)! We need NSOs to keep track of the score, time the skaters in the penalty box, and so much more. If you'd like to get involved, come to our next recruitment event, or simply send us an e-mail at wallawallasweetsrollergirls@gmail.com to express your interest. 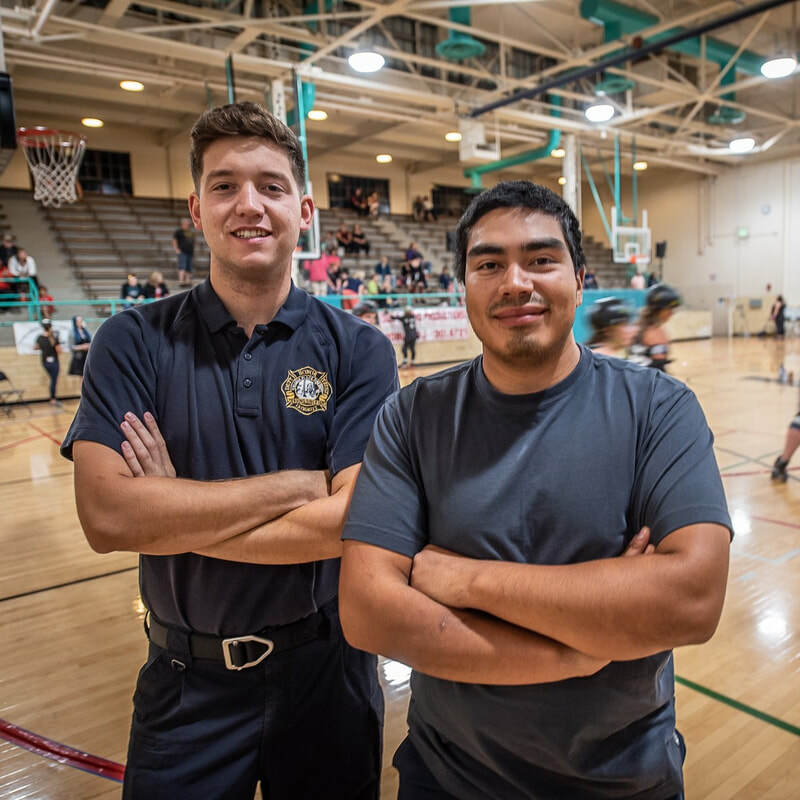 Our bouts are put on entirely by volunteers who help with everything from ticket and concession sales to security and taping the track. If you'd like to get involved, come to our next recruitment event, or simply send us an e-mail at wallawallasweetsrollergirls@gmail.com to express your interest.